I hope the holidays were not too taxing on the spirit and you are ready for a little time off with friends and family. This week I want to talk about an aviation pioneer, who has been forgotten by most, but was responsible for identifying the four aerodynamic forces of flight, and also credited with the first major breakthrough in heavier-than-air flight, and is often referred to as “The Father of Aviation.” So, although the Wright Bothers benefited from Sir George’s work the data on aerodynamic forces was made available to the world in 1799. I have copied a portion of an article from the web, as well as provided a link to a document that you may find interesting. Please click on the source document link at the end of the main article and you can view the article in its entirety which contains many of the original drawings made by Sir Cayley in his quest to understand the mysteries of the third dimension. Cayley literally has two great spurts of aeronautical creativity, separated by years during which he did little with the subject. He was the first to identify the four aerodynamic forces of flight – weight, lift, drag, and thrust – and their interrelationship – as well as he also was the the first to build a successful human-carrying glider. Cayley described many of the concepts and elements of the modern airplane and was the first to understand and explain in engineering terms the concepts of lift and thrust. Before him, researchers thought that the propulsion system should generate both lift and forward motion at the same time, as birds were able to do. So they constructed their flying machines with flapping wings (called ornithopters) to resemble the motion of birds. Cayley realized that the propulsion system should generate thrust but that the wings should be shaped so as to create lift. Finally, Cayley was the first investigator to apply the research methods and tools of science and engineering to the solution of the problems of flight. In his experiments, Cayley would first test his ideas with small models and then gradually progress to full-scale demonstrations. He also kept meticulous records of his observations. One of his first experiments as a young man was to build a small helicopter model. This toy was rooted deep in European history. The earliest ancestors of the device date to the 14th century. Cayley was inspired by a version developed in 1784 by the Frenchmen Launoy and Bienvenu. It had two rotors consisting of feathers stuck in corks and was driven by a string from a bow. The design demonstrated an understanding of how a propeller worked. It also addressed Cayleys interest in finding a means of powering an aircraft. He attempted to use an engine fueled by gunpowder but it was unreliable. His inability to find a means of propulsion caused him to revert temporarily to Leonardo da Vinci’s concept of using flapping wings as a means of propulsion. This resulted in his 1843 convertiplane model called the Aerial Carriage. Cayley reverted to ornithoptering propulsion and vertical flight ideas on several occasions in his career. In 1799, Cayley designed a configuration that was basically in the form of a modern airplane with a fuselage and wings. Etched on a silver disk this design bears a close relationship to the modern flying machines of more than a century later. On one side of the disc he showed the forces that govern flight. On the reverse side, he engraved an aircraft that illustrated how those forces operated. It had a fixed main wing, a fuselage, a cruciform tail unit with surfaces for vertical and horizontal control, a cockpit for the pilot, and a rudimentary means of propulsion that consisted of revolving vanes, a precursor to the propeller. Thus, one hundred years before the Wright brothers flew their glider, Cayley had established the basic principles and configuration of the modern airplane, complete with fixed wings, fuselage, and a tail unit with elevators and rudder, and had constructed a series of models to demonstrate his ideas. Experiments that he began to carry out in 1804 allowed him to learn more about aerodynamics and wing structures using a whirling arm device. He observed that birds soared long distances by simply twisting their arched wing surfaces and deduced that fixed-wing machines would fly if the wings were cambered. This was the first scientific testing of airfoils. After these experiments, he constructed what is considered to be the first real airplane in history. This glider, which was basically a kite on top of pole, was about 5 feet (1.5 meters) long, with a fixed wing set at an angle of incidence of 6 degrees and a cruciform tail that was attached to the fuselage by universal joints. Movable ballast controlled the center of gravity. After this model successfully flew, Cayley designed a larger model glider with rigid wings. By 1808, Cayley had constructed a glider with a wing area of almost 300 square feet (28 square meters). By the middle of 1809, Cayley had investigated the improved lifting capacities of cambered wings, the movement of the center of pressure, longitudinal stability, and the concept of streamlining. He demonstrated the use of inclined, rigid wings to provide lift and roll stability, and the use of a rudder steering control. He even came to realize that an area of low pressure is formed above the wing. By 1809, he had advanced from model gliders to the building and successful flying of a glider with a total wing area of approximately 172 square feet (18.5 square meters). Soon after, Cayley published a paper, On Aerial Navigation (1809-1810), which appeared in Nicholson’s Journal of Natural Philosophy, Chemistry and the Arts. In this paper, he laid out the basis for the study of aerodynamics. However, this work was not known and acknowledged for some years. After having built several models (with an interruption to explore the possibility of an Aerial Carriage of 1843), Cayley concentrated on experiments with full-size gliders. He built his first full-size glider in 1849 and initially carried out trials with ballast. Later that year, the ten-year-old son of one his servants became the first person in history to fly when he made a short flight in a Cayley glider. Four years later, in 1853 and fifty years before the first powered flight was made at Kitty Hawk, North Carolina, Cayley built a triplane glider (a glider with three horizontal wing structures) that carried his coachman 900 feet (275 meters) across Brompton Dale in the north of England before crashing. It was the first recorded flight by an adult in an aircraft. Throughout his long career, Cayley recognized and searched for solutions to the basic problems of flight. These included the ratio of lift to wing area, determination of the center of wing pressure, the importance of streamlined shapes, the recognition that a tail assembly was essential to stability and control, the concept of a braced biplane structure for strength, the concept of a wheeled undercarriage, and the need for a lightweight source of power. Cayley correctly predicted that sustained flight would not occur until a lightweight engine was developed to provide adequate thrust and lift, an event that did not take place until the flight of Orville and Wilbur Wright in 1903. For more information please take a look at the following link. 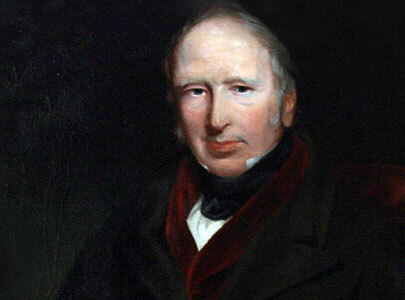 The article is a bit lengthy but appears to contain most of the facts about the life and times of Sir George Cayley.